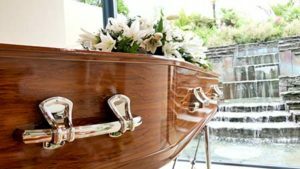 Home » Who Can File a Wrongful Death Suit in Colorado? Losing a loved one is never easy no matter the circumstances leading up to a loved one’s death. But when a death is the result of another person’s or entity’s negligence, the death can become much harder to bear—both emotionally and financially speaking. The law allows loved ones of a deceased individual to pursue compensation via a wrongful death claim for the untimely and wrongful death of a loved one. Though no amount of money will bring the deceased back, it can help to shoulder the financial burden left in the deceased’s absence. It can also bring some closure for survivors to be able to hold the responsible party liable for the death. If you lost a loved one because of another person’s or entity’s actions or inactions, the compensation awarded to you via a wrongful death settlement can help you pick up the pieces of your life and regain some semblance of normalcy. Contact Olson Law Firm to learn more about who can file a wrongful death claim in Colorado and what one needs to do to maximize his or her opportunity for compensation. Who Can Sue for Wrongful Death in Colorado? In typical personal injury cases, the injured party files the lawsuit, partakes in the lawsuit, and is awarded damages. However, in wrongful death suits, it is, for obvious reasons, impossible for the injured party to defend him or herself. In these situations a family member can step in for the deceased and sue for compensation on his or her behalf. ● Surviving Spouse: Colorado stipulates that if there is a surviving spouse, only he or she is permitted to file a lawsuit within the first year of death. However, the law does state that other members are permitted to join the suit if the surviving spouse provides written permission. ● Children: Once the year time limit is up, surviving children may file a wrongful death lawsuit on the deceased’s behalf. ● Parents: In the second year following the loved one’s death, parents of the deceased are also permitted to bring about a wrongful death claim. However, parents can only do so if their loved one has no surviving spouse or children. ● Heirs: If the deceased has no surviving spouse, children, or parents, heirs are not permitted to file under Colorado law. HOWEVER, a representative of the deceased’s estate may file a suit on their heirs’ behalf. If a representative files, he or she would not file a Colorado wrongful death lawsuit, but rather a survival action. A survival action is an action that the deceased would have filed him or herself if he or she had lived. Unlike a wrongful death lawsuit, which is meant to compensate surviving family members for their grief and hardship, a survival action is meant to compensate the deceased’s estate for his or her pain and suffering, medical expenses, lost earning, and other damages acquired prior to his or her death, and as a result of the injury that lead to his or her death. In short, damages recovered via a survival action are similar to those that could have been recovered via a standard personal injury claim. Again, only a representative of the deceased’s estate may file such an action. What Damages Can Be Recovered in a Wrongful Death Suit? ● Funeral and burial costs. Monetary damages will be evaluated by a judge or jury and awarded if the deciding party deems such compensation is necessary. If you recently lost a loved one in an accident caused by someone else’s negligence, reach out to the Olson Law Firm to discuss how we can make your journey to recovery easier. We serve accident victims and their families in Denver, CO, and Cheyenne, WY, and surrounding areas. Contact our team today to get started.